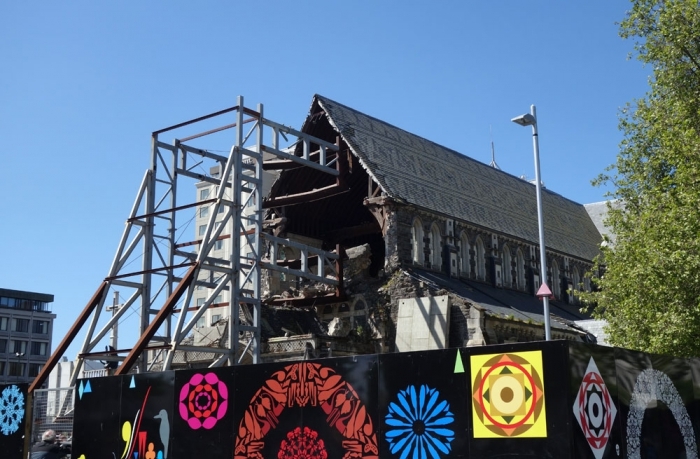 You probably already know this about Christchurch but in 2011 the city was struck by a devastating earthquake, which the city is still visibly recovering from. While this makes some very interesting sights (mainly old building façades standing on their own, held up by being strapped to a wall of stacked shipping containers). Unfortunately this means that there is less to do in the city centre than you would expect. 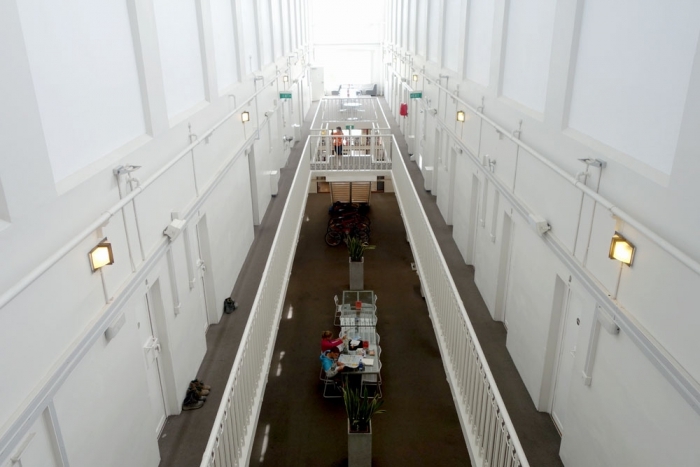 We had 2 nights in the city and we stayed at the well publicised Jailhouse Accomodation (the old prison has been turned into a hostel with the cells converted into rooms). It is a fairly comfortable hostel with good kitchen facilities, clean toilets and showers and friendly staff. We really just spent one day exploring the city and taking in all the common 'tourist'sights. 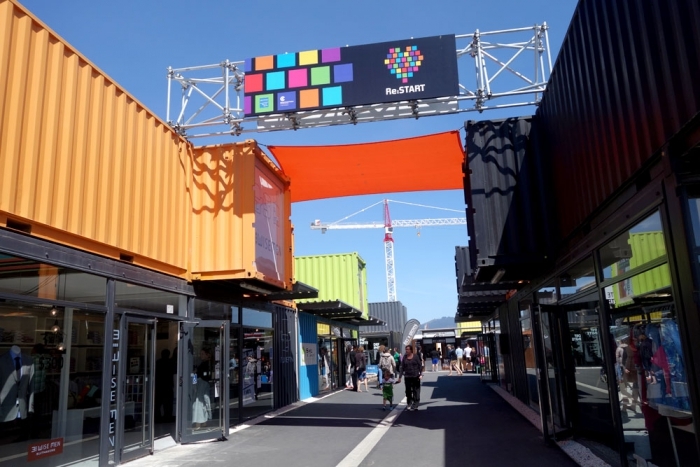 We started by visiting the Re:Start mall which is a small shopping area in shipping containers which has been set up since the earthquake. It's quite interesting to see how the shops have established themselves comfortably there and worth a look if you are in the city as who knows how long it will remain there. We then hopped across to the cathedral square where you can see the remains of Christchurch's cathedral. A large portion has fallen and crumbled since the last earthquake and it is quite a sad and forlorn sight. 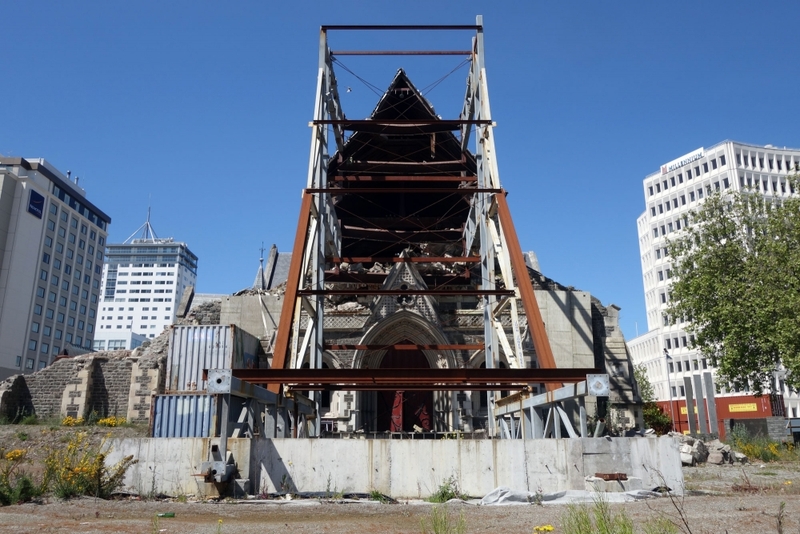 The whole area is undergoing massive rejuvenation though so hopefully the cathedral will be part of this. 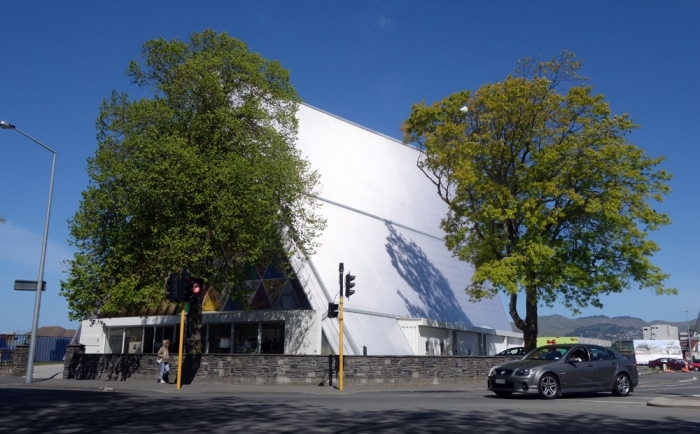 In the meantime there is the renowned 'cardboard cathedral' set up on the outskirts of the city. I'm not quite sure what I was expecting to see when we visited but it just looks like another smallish church building and isn't very grand or unusual! Our last stop was to visit the Canterbury Museum. Entry is kindly free although there are boxes for donations. I must say, for people who do not enjoy museums or galleries we had a great time at this one! 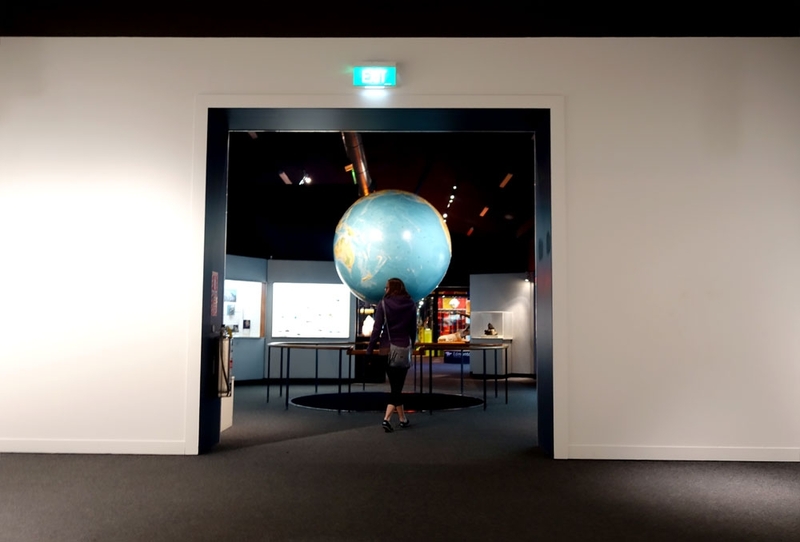 The best bit is all of the exhibitions about the history of the Antartic and all of the new, exciting things that are currently happening on the ice. We would actually recommend a visit to this place if you are in the city and it would be great for all age groups. We were also very lucky that during our day exploring, it was the Labour Day weekend and there was a city wide event happening. 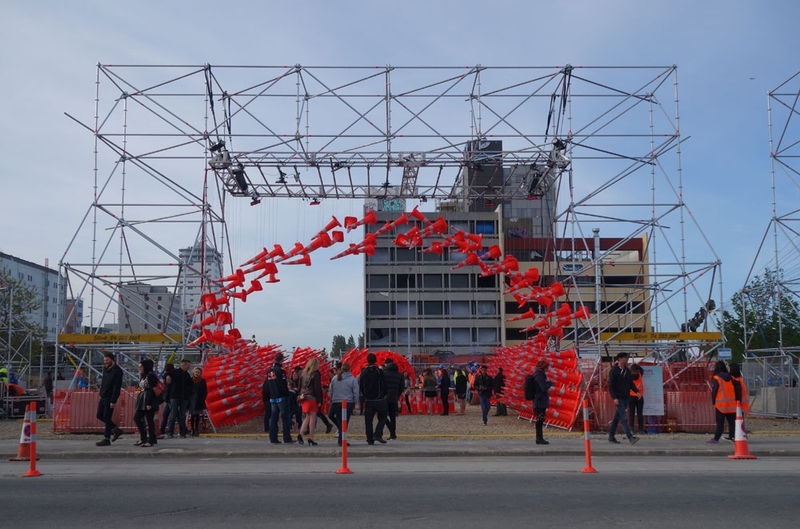 Students from Christchurch were holding exhibits across the city with the biggest being a 'sound' event where massive art-sound installations were held up with scaffolding; there was also a market and lots of good food in the area too. So I guess there isn't much to say about Christchurch, the city is still obviously recovering and there are a few things to keep you occupied but at the moment 2 days was definitely enough to spend there. The council is very proactive however and there could be a lot of interesting things happening during this rebuild so perhaps it's a city to keep an eye on and who knows what it will be like in a year or two!